This two-day Somatic EMDR Workshop — taught by Barb Maiberger and Dr. Arielle Schwartz, authors of “EMDR Therapy and Somatic Psychology: Interventions to Enhance Embodiment” — is designed to help EMDR therapists learn an integrative approach in working with Attachment trauma. Therapists learning EMDR therapy are not trained to work with attachment trauma in their initial training and the impact it has on the body and mind. Clients who experience preverbal memories can feel overwhelmed which can shut down reprocessing through dissociation and a disconnect from the body. Learning how to work with preverbal memories by incorporating somatic skills is an essential for all EMDR therapists who want to help their clients heal at a profound core level. Without effective treatment, attachment trauma can be passed onto the next generation. This work can help clients broaden their capacity to have healthy interpersonal relationships that can be fostered in the world. Learning how to resource clients who struggle to stay connected to their bodies to prepare for trauma reprocessing. Deepening your ability to recognize preverbal memories and how to successfully work with them using somatic interventions. Working with ego states through body awareness and interventions to effectively use EMDR therapy to transform early attachment trauma. Regulating dissociation using sensory or movement interventions to stabilize the client for effective reprocessing. Recall that secure attachment involves a consistent, attuned, congruent, “good enough” care taker. Recognize that the polyvagal theory is related to Attachment trauma. Discuss the 4 Attachment styles within the context of early childhood development. Illustrate an understanding of history taking from an attachment trauma perspective in relationship to EMDR therapy. Restate at least one attachment related target in relationship to the five stages of early childhood development. Recognize how working with a client’s ego states or “Parts” can help to resource the client in preparation for EMDR therapy. Name how to resource the client for Attachment related EMDR therapy. Recall how to set up and desensitize preverbal targets in EMDR therapy. Demonstrate at least one relational interweave that can be use during Desensitization phase in EMDR therapy. Demonstrate at least one sensory or movement interweave that can be used during Desensitization phase in EMDR therapy. 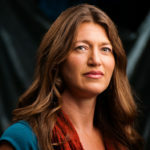 Recognize the likelihood that shame may arise in attachment trauma and identify one way to support the client in that process. Recall how to close a session by resourcing. 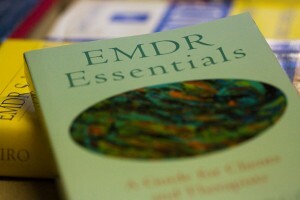 EMDRIA Credits: 12 EC (pending) — The Maiberger Institute offers 12 EMDRIA Credits (EC) for this Somatic EMDR Workshop. The Maiberger Institute maintains responsibility for this program, and its content in accordance with EMDRIA standards.